People are very busy these days. And you have a few seconds to let them know who you are and what you do. You may also not know the time your next investor will show up. So, you want to be prepared with your elevator pitch, ready to shoot when the door of opportunity appears. An elevator pitch is simply a concise, persuasive, and compelling introduction communicated within the timeframe it takes to ride an elevator. It must be short, succinct, and straight to the point. But, you’ll have to make sure it gets the job done, which is to create a great first impression. 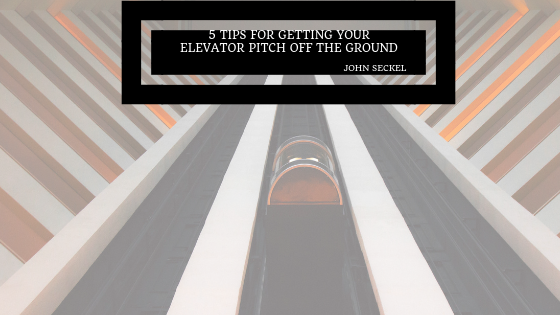 If you’re a small business owner, a sales professional or a corporate executive looking to take your career or business to the next level, the following tips will help to get your elevator pitch off the ground. You’ve got to remember that, at the end of the day, you’re communicating with people. Who will you be presenting your elevator pitch to? Is it to a potential investor, customer, a business partner or supplier? Ensure your elevator pitch is tailored to a specific audience. Make it short, at least 100 words long. Your elevator pitch should highlight your professional experience and expertise. When your audience hears your pitch, they should remember something unique about you that compels them to want to do business with you. Say your pitch aloud to yourself. Make a recording. Listen to the recording and improve the pitch. Consider talking to a friend or an associate to give you honest feedback as you practice the pitch. Practice for several times until it naturally and coherently flows without stumbling. After your next business conference or corporate breakfast meeting, start presenting your pitch to the right people. You need to have different elevator pitches. If you’re having a brief moment with a potential investor, you need to know what to say. Believe in yourself and speak confidently. As you start presenting your pitch in public, you should take note of people’s response. Revise, evaluate and improve where necessary. If you’re doing a good job, your elevator pitch will get people excited and intrigued. They will long to learn more about you and it will open doors for you.